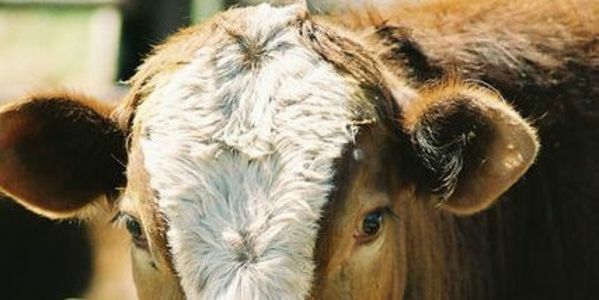 petition: Ask Omaha to ban proposed live meat market! Ask Omaha to ban proposed live meat market! Please sign and share this petition in an effort to get Omaha to ban the proposed live meat market! With such a proposal, customers can literally pick out a live animal they want and even view it being slaughtered! This is a horrific thought. Even if you are not a vegan, most people would not want to actually view an animal being killed for their human consumption! We have got to stop such barbaric practices! In Omaha, Nebraska a proposal is on the table that allows meat consumers to choose an animal and watch it being slaughtered for their eating pleasure. This is the proposal of the Tom's Live Meat Market, owned by Tom Meyer, who stated "You can come in there and actually look and pick the live animal you want processed." Most of the animals, part of his business, are raised on farms predominantly in local areas. The livestock would be kept in private pens not visible from the street. Regarding the witnessed slaughtering of the animals, one of the councilmen stated that "It just kind of triggers the undeveloped world, the third world. Some of the things we have concerns about happen on a regular basis on the farm." After this horrid proposal was passed by a vote of 5 to 1, another Councilmen stated "In that industry in my district slaughters probably 4,000 to 6,000 head of cattle per day." Of course, other area businesses are happy about the decision! Most animal lovers and activists feel quite differently; for many it is like killing your own pet to eat. Please sign and share this petition in an effort to get Omaha to ban the proposed live meat market! With such a proposal, customers can literally pick out a live animal they want and even view it being slaughtered! This is a horrific thought. Even if you are not a vegan, most people would not want to actually view an animal being killed for their human consumption! We have got to stop such barbaric practices! Omaha, Nebraska Legislators - Please ensure that this proposal does not get passed that allows consumers to pick out their animals for human consumption and watch them being slaughtered. This seems cruel and inhumane! We all know the animals have to be humanely killed in order to eat the meat but it is extremely abusive and cruel to openly kill an animal with any type of audience! Disgusting and horrific!! I keep getting messages in favor of people seeing the animals killed, especially those that are vegan. I think it can go either way; maybe if we saw how they are tortured, we wouldn't eat meat but on the other hand, I feel it is inhumane to kill animals in front of an audience.